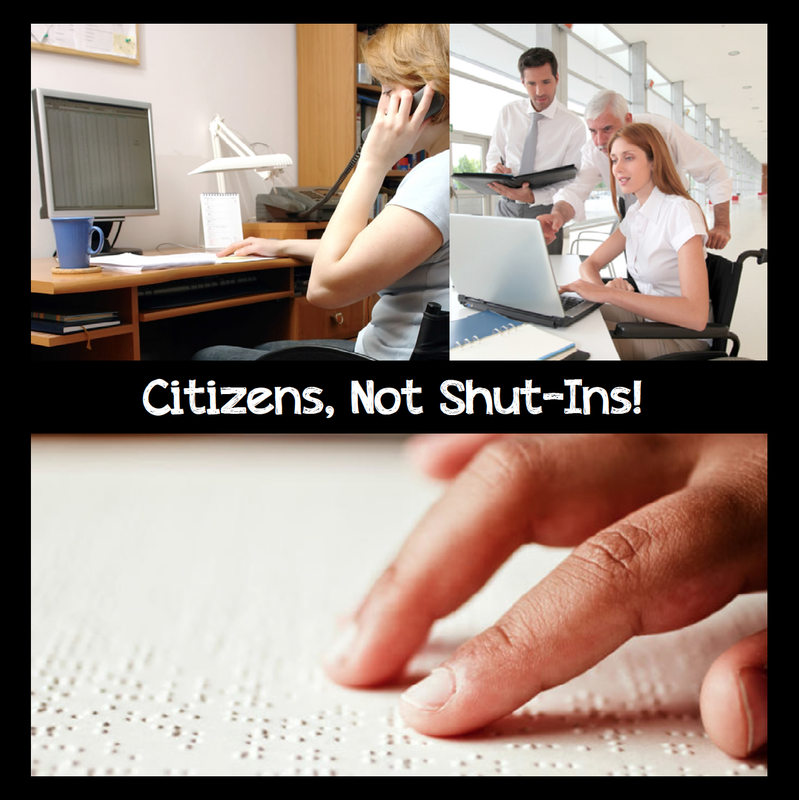 Arts In Action » Citizens, Not Shut-Ins! The federal government has made efforts to encourage disability diversity. The Office of Disability Employment Policy has sponsored the Campaign for Disability Employment; published Building an Inclusive Workforce, a four-step reference guide to employing people with disabilities, and developed the new Add Us In initiative to help small businesses employ people with disabilities. In the last few years opportunities for persons with disabilities to get jobs have increased and the unemployment rate for this target population is decreasing, setting a trend in the right direction, I mean employment is a good thing, right? Well…it is to a certain extent…Tricia Riccardi has some thoughts on this issue that we think you will find interesting. We’d love to hear your thoughts on these issues too, so please comment to this post! Tricia has always been passionate about advocacy, but there are two issues that are very near and dear to her. First there is the “marriage penalty”, (affectionately dubbed by Self-Advocates.) Most people are probably unfamiliar with this, so Tricia explains… “As a person with a disability, most of us receive government ‘benefits’ as some of us do not work. These Social Security checks are based on income and when you get married, they base your income with both spouses in the equation. In my case for example, I married an able-bodied man whom has a good job and thereby disqualifies me for any government ‘benefits’”. As you might agree with Tricia, it is increasingly difficult to live on one income these days. Tricia feels that when one has a permanent disability, these “benefits” should be based on the individual, not the couple. This brings Tricia to her next issue, income limits. 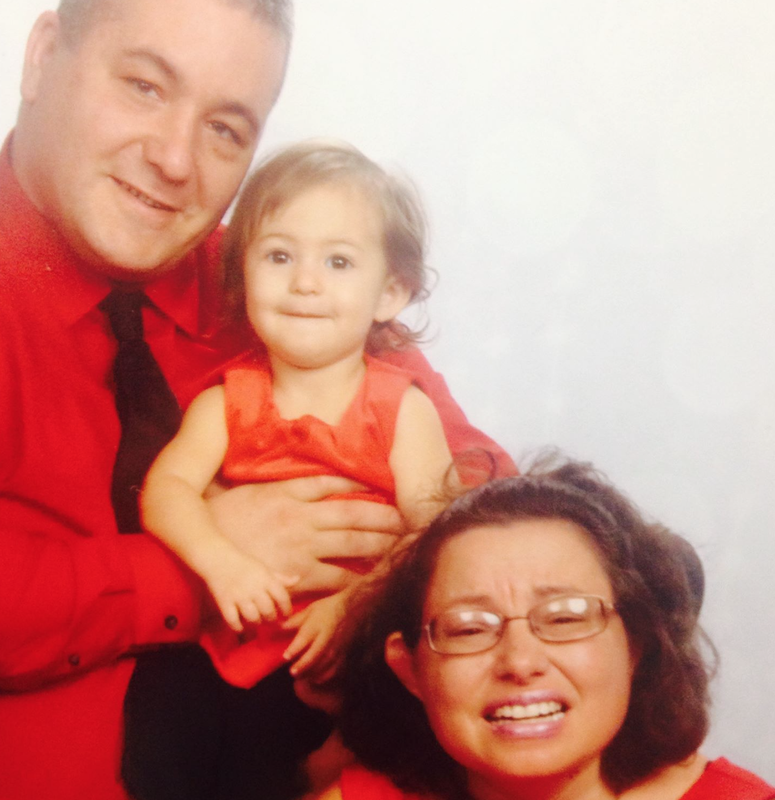 Four years ago Tricia was appointed to the Florida Developmental Disabilities Council (FDDC). Her reason for wanting to become a member was to affect change with both of these issues. Currently, there is a lot of talk in our State Capital about people with disabilities working in their communities. Tricia thinks this is a great idea, but when a person with a disability makes over a certain amount of income, they lose needed supports. In Tricia’s case, and in many, many other persons with disabilities, those supports are the reason she is even able to work. So in Tricia’s situation, if she works and makes over $2163.00/month, she will lose her support system (i.e., her Personal Care Attendant). Her other option is to put anything over the amount of $2163 per month into an account to “shelter” it and when she dies, her “left over” money will to the state. Maybe you will join Tricia in realizing that this system is flawed! To explain further, if Tricia earns $50,000 a year, she would have to “shelter” half of it. Tricia feels that she should be able to use her money, as she earns it, all of it, and not be forced to put it in an account that will eventually end up in the government’s hands. Advocates who are serious about assisting persons with disabilities and catapulting them out of a perpetual life of poverty are against the ridiculous and archaic income limits in Florida and beyond. Tricia makes another great point, as the number of individuals with disabilities that have obtained degrees continues to grow, and as the number of professional persons with disabilities continues to grow, we need a support system in place that is promotes employment efforts. Tricia is feverishly working on this issue now with the FDDC and needs every Advocate to help her get this issue to the legislature. It can be changed on the state level, but it will take work to bring this unfair and unjust issue to light with our elected officials. Please contact Tricia if you are interested in joining the work group at the FDDC that is tackling this important issue right now! We support and appreciate your efforts Tricia! Your hard work does not go unnoticed!